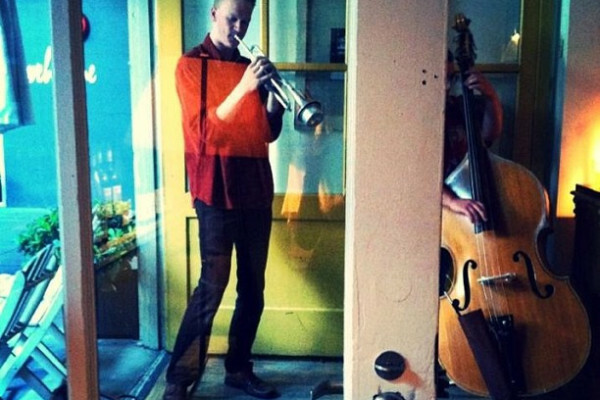 Only Trio is a chamber jazz ensemble composed of trumpet, trombone, and saxophone. Music is written and arranged by trumpeter Steve O’Brien, with Kate Olson (soprano sax), Jacob Herring (trombone). The TKO Super Secret Saxophone Project is Kate Olson, soprano; Ivan Arteaga, alto; Chris Credit, tenor; Peter Danie, baritone. Kate’s written a four-movement suite of minimalist-inspired music to commemorate her 31st birthday.